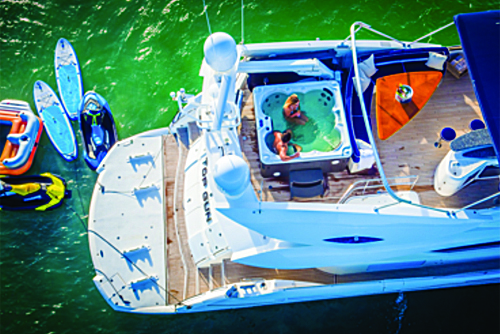 Sunseeker’s Predator line of Express Sport Cruisers has it all in the name. Aggressive looks and performance handling, with plenty of outdoor lounging areas to enjoy the sun! Another example of the British brand’s cutting edge styling and quality craftsmanship. 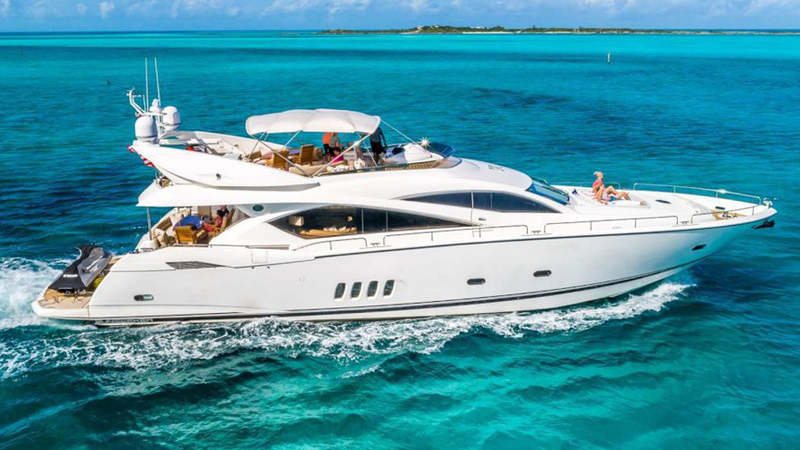 She is a fun sport cruiser that is sure to turn heads in the Miami waters. • Giant bow sun pads with JL Audio speakers. • Yamaha Jet Ski included on the swim platform.